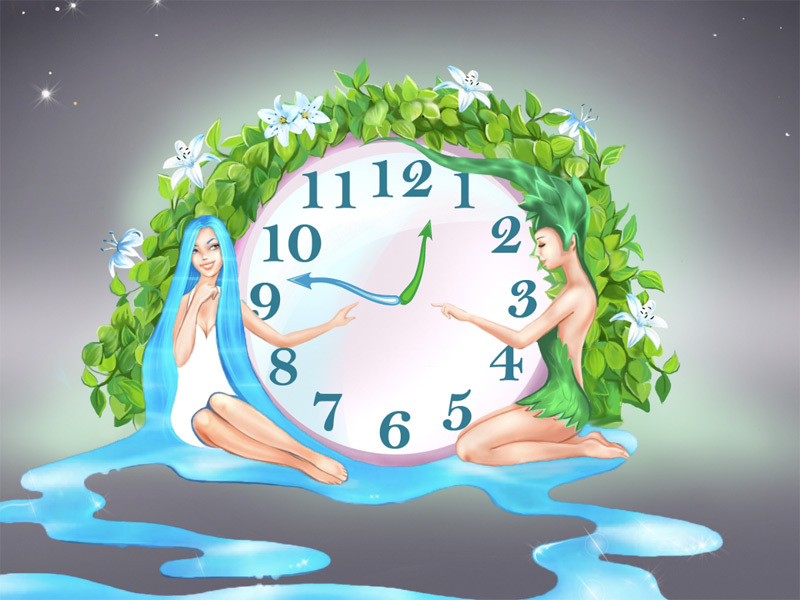 Nature Harmony Clock screensaver - See how wonderfully Water and Earth harmonize each other! The two greatest energies meet on the scene of the new clock! Fluid watery structure of the world and blooming element of earth. 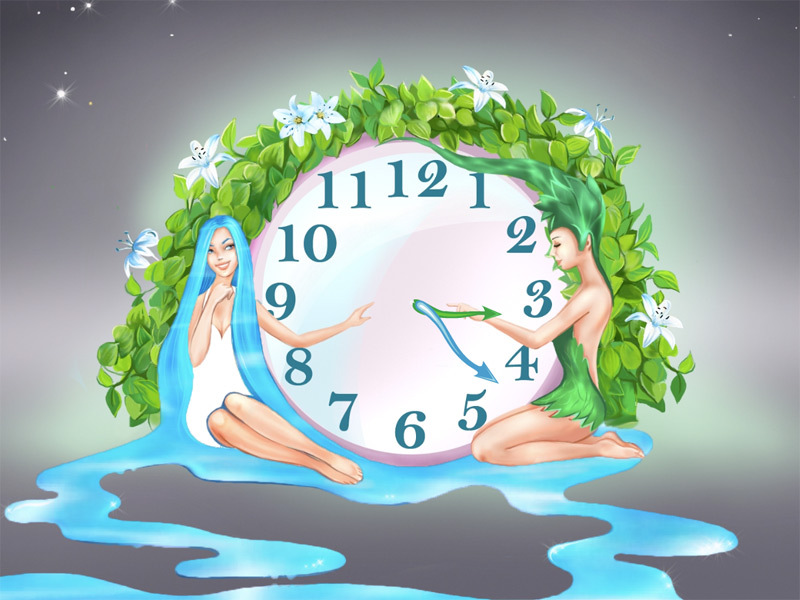 Enjoy two smiling lovely girls symbolizing natural harmony and fling yourself whole-heartedly into the gorgeous picture! 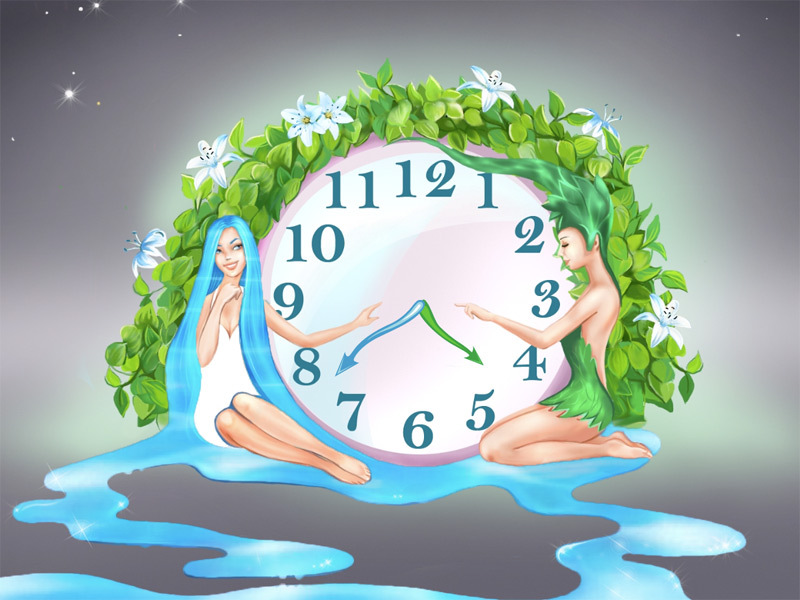 The two greatest energies meet on the scene of the new Nature Harmony clock! Fill your life with wonders, happiness and wellness!